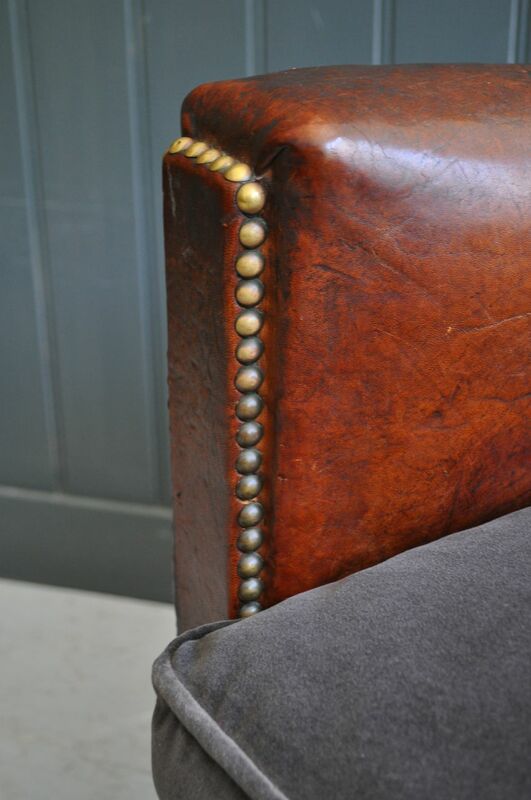 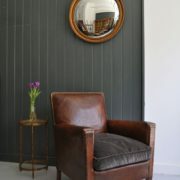 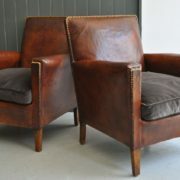 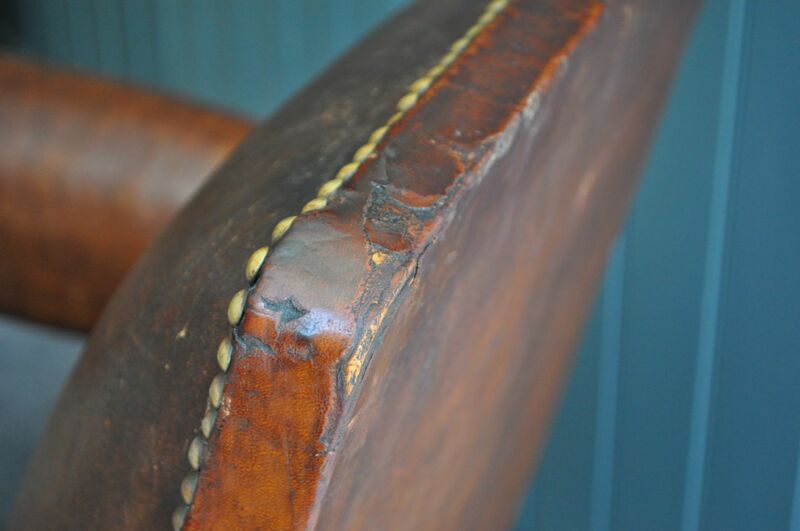 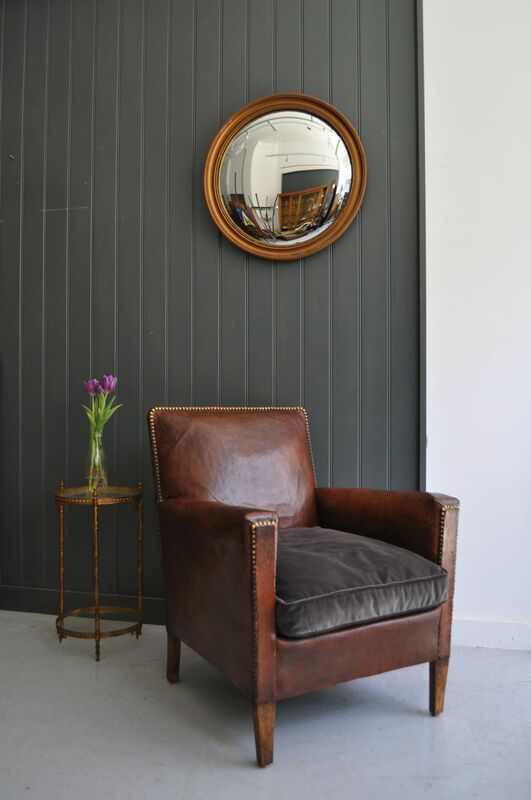 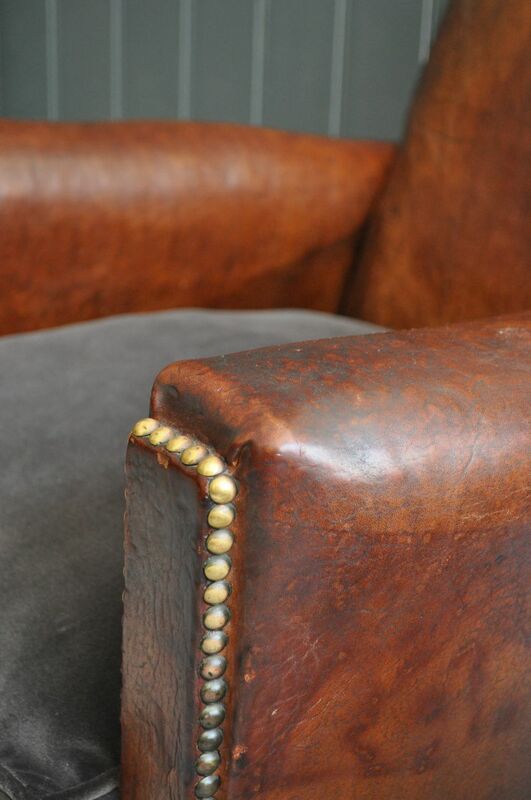 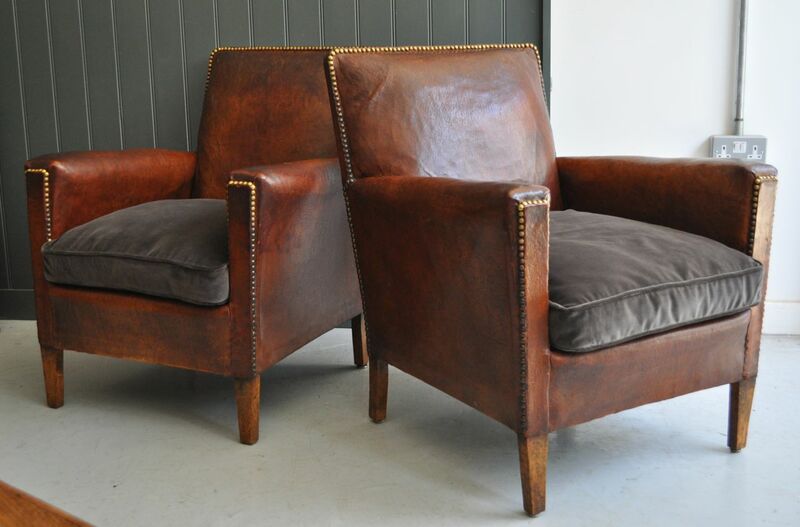 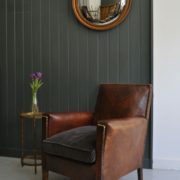 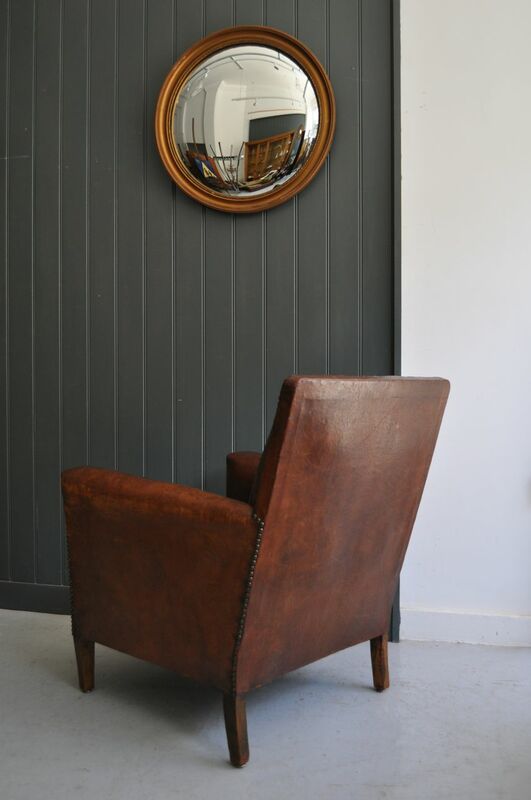 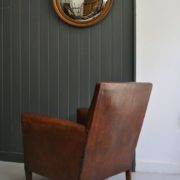 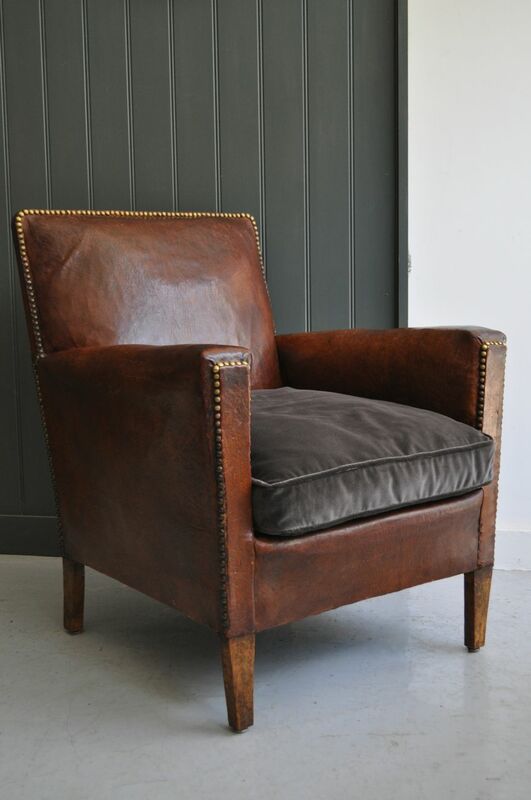 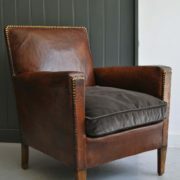 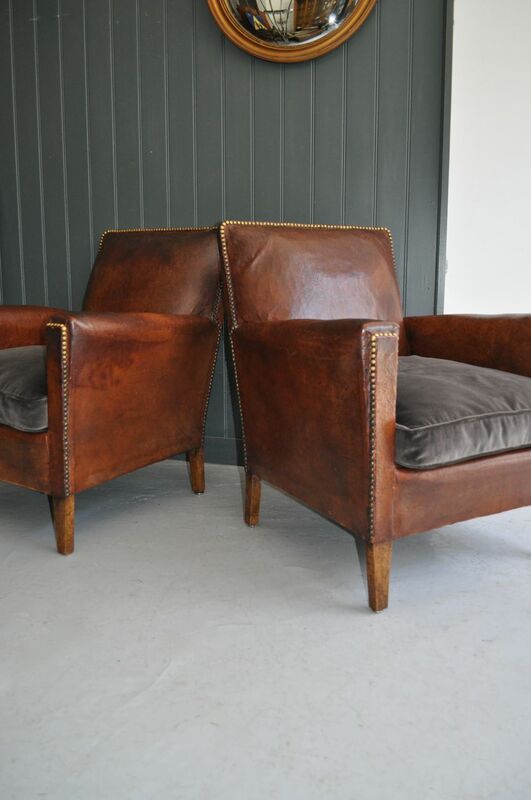 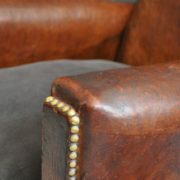 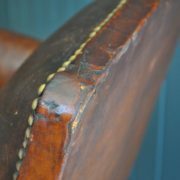 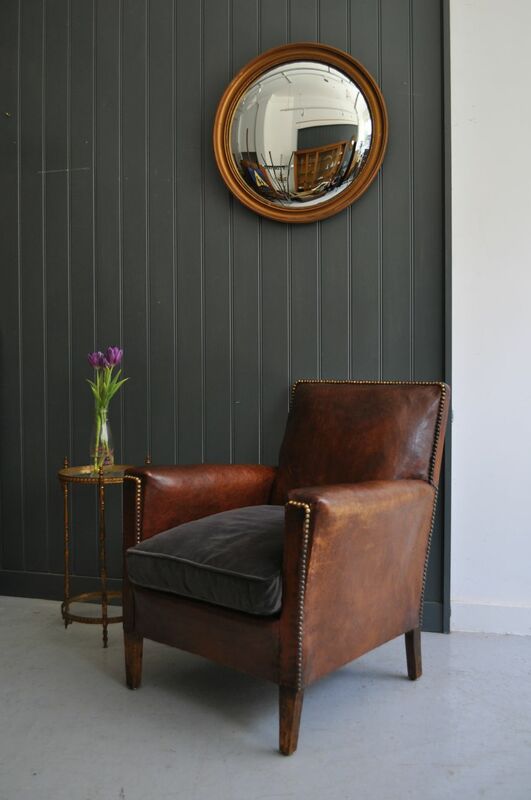 Beautiful pair of French leather armchairs. 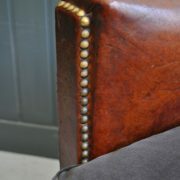 A really lovely model, with studding to perimeters, and new feather cushions in a slate velvet. Great colour and patination to the leather, and a neat size and elegant design.